Advt No. 01 /2019 (R&P) & 01 (A) /2019 (R&P): Oil and Natural Gas Corporation Limited, is a “Maharatna” Public Sector Enterprise and India’s flagship energy major in Exploration and Production of Oil and Gas in India and abroad. A global player in energy, it contributes about 70% of India’s domestic Oil and Gas production. Currently, ONGC through its subsidiary ONGC Videsh Limited is India’s largest Transnational Corporate with overseas investment of over 10 billion USD in 20 countries. Oil and Natural Gas Corporation Limited, Western Sector, Gujarat invites Online Applications from young and energetic candidates for the following regular posts with the pay scales as mentioned below…..
Educational Qualification : Download Official Notice for Post wise Educational Qualification Details..
(a) For General / OBC candidates – Rs. 370/= as Registration fee. (Fee Rs.299.20/- plus Bank Charges Rs.60/- plus GST- 10.80/- on Bank Charges). Registration fee is non-refundable. (b) Registration fee can be deposited at any branch of State Bank of India in ONGC Power Jyoti A/c. No. 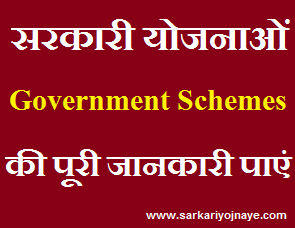 30827318409 of SBI, Tel Bhavan, Dehradun through Challan Form. Payment of Registration fee by any Other mode is NOT acceptable and payment made through other modes will NOT be returned or refunded to the candidates. Candidates will have to mention the bank details as given by the bank on the online application site after depositing of fee. Candidates can Apply under Online Mode from the Official Website (https://www.ongcindia.com). Candidates are required to have Valid Email Id & Mobile No as Important Details like Registration No. & Password will be sent to this EMail Id or Mobile No. Candidates should have 10th, 12th, Graduation Mark sheets to fill Online Application Correctly. Scanned Copy of Recent Photography & Signature (In Prescribed Size). Link for Online Application & Fee Payment will be available till 20 February, 2019. Candidates need to take Print Out of Filled Application Form for future Reference. All the candidates before submission application fee check all the entry fill in the form is corrected because after fee submission under any circumstances fee should not be refundable.